I was warned by a friend some months ago to start saving up for my daughter's entrance to elementary school. Between fees, supplies, uniforms and the ubiquitous large, hard leather backpack, we'll be looking at a serious financial commitment, but not for another year and a half yet. In the mean time, my family had a trip to the states to plan for and little time to do it in. 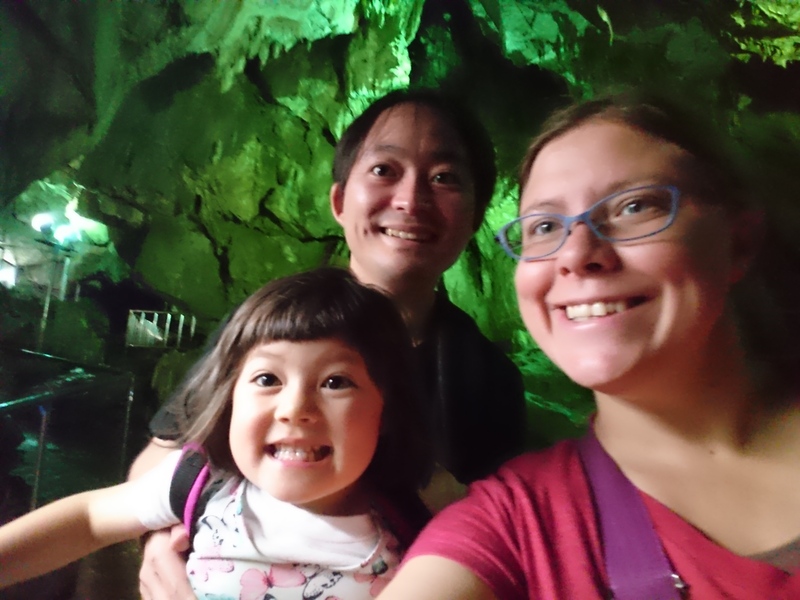 We've been back in Japan for about six weeks, and I admit I haven't thought much about the school situation beyond her current needs. Still, my husband has already begun researching options in the area and beyond, but trying to determine what school fits best with your child seems like more than a one man job. When this conversation arose, our primary differences in priorities crept up again, based mostly on the classes in which we were raised. As a scrappy American from the lower-middle class, I find cost to be the first important factor. If we can't afford it, there's no use in looking at it. My husband was raised a bit differently. He did go to boarding school in England (alone and because he wanted to) after all. His first choice is always based on quality with no regard for the expense. He is concerned with the best option first, and then what can we afford. So my husband's first choice is a private school with a Christian background. The one huge positive with this school is that it includes elementary through high school without the need for the high school qualification round of exam-hell. While I agree that keeping our kid from that stress would be great, I can't agree with the price tag. Literally the only way to afford this is if I drop everything I am doing and race back to beg for a full-time eikaiwa job in Sendai. Also, this school isn't located anywhere near us. My daughter would be on a bus for a couple of hours a day and, with me working evenings, she would spend the rest of her time with my in-laws. The other option is public school, which will likely be a less-stellar education and opens up the door for exam-hell, but we are living in the information age. With an educator and computer at home, we can foster a more well-rounded understanding of the universe and without spending two hours a day on a bus. Also, while this option will still require a little more money coming in than we have now, it won't mean dropping the business contacts I've been working to build up over the last 5 years. It is clear to us that public school with additional home-study is probably the best fit for us, for today, but what are your thoughts? Had anyone sent their kids to private elementary schools? Were there great benefits to this? Am I shortchanging my kid? Personally, the idea of private school would only come up if the public school was just so horrific that a little home help wasn't cutting it. school is more about the social connections and learning to live in society more than the actual education itself anyway. facts and lessons can be taught but how to treat people react to people and function in society has to be learned through experience. 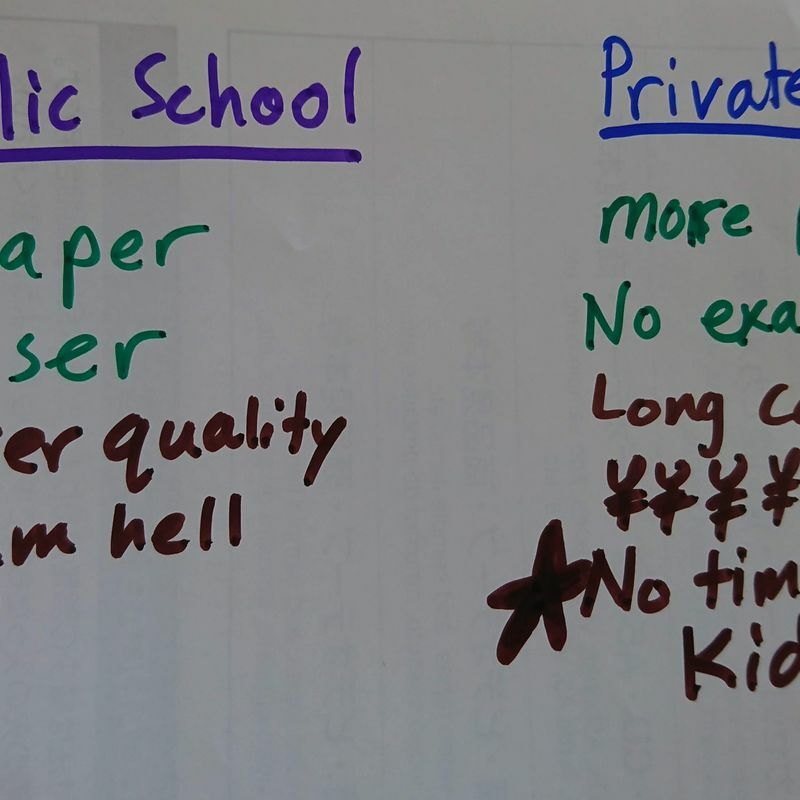 Whether that is better at a private or public school, who can really say? good luck in choosing and just know that whatever the choice is made, your little one will learn to live strongly in any either situation as long as you continue to be there as you seem to be now. @edthethe Thank you for this! I've been trying to weigh all these factors and the one I keep coming back to is the time with my kid. There is no amount of money that can offset losing that place in my daughter's life. I also think she'll fit in better with kids who also have parents who work instead of being the poor half-gaijin kid from outside of town. We'll see how it goes, though.